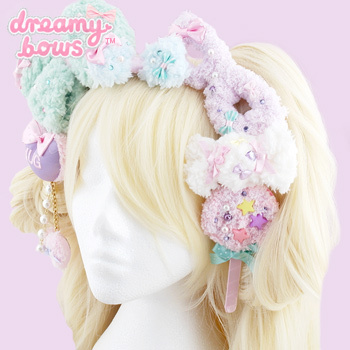 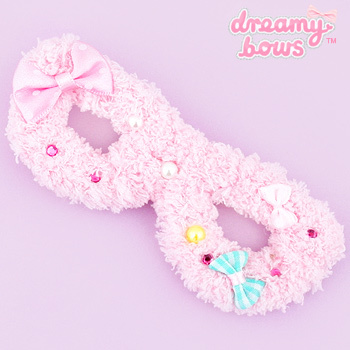 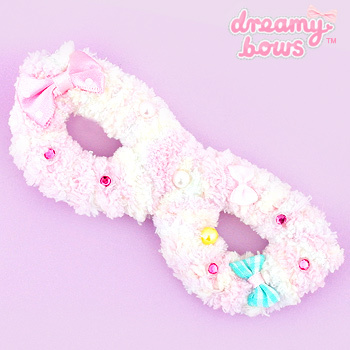 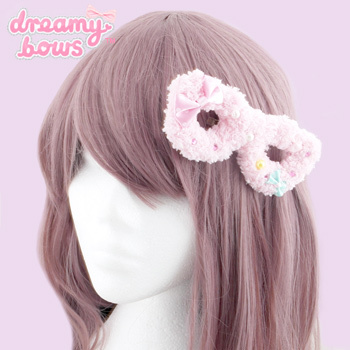 Cute pastel coloured decora glasses themed 2-way clip, which can be worn as a hair accessory or pinned onto clothing, bags etc. 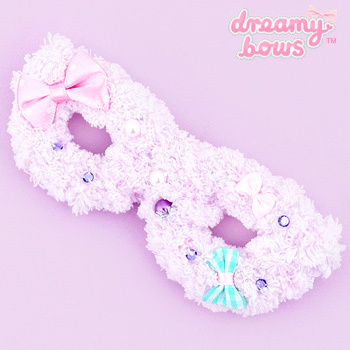 The glasses are made of soft fuzzy yarn woven over firm wire; the top corner of the glasses feature a polka dot satin ribbon. 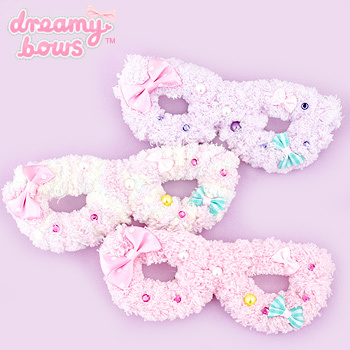 The glasses are accented with mini pearl beads, cute gems and mini bows.